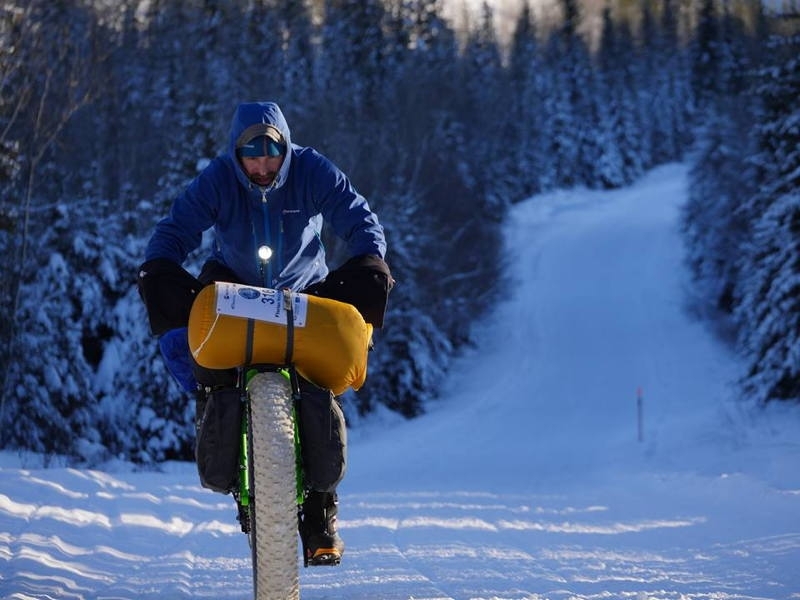 At 14:45 today fatbiker Florian reached Pelly Crossing. Since he really cold feet going through overflow he decided to get another good rest before he leaves for Pelly Farm. Tim who is in second position got to McCabe a bit later. He will rest now, too. Everybody else still in the race is doing fine. Michael Haenel is struggling a bit with chafing but fingers crossed it won’t stop him. Jan Kriska is leader in the foot category and currently also at McCabe. Gavan Hennigan is not too far behind Jan. And behind him is Wolfgang Kulow on bike. Third in the foot category is currently Bernadette Benson. All of them are going really strong. Next are Davide Lugato and Hugo Smith. Daniel Heon just left Carmacks at 19:55. Brian Bougourd is resting here and plans to leave at 4 AM. Everybody else is on the way to Carmacks and should make it before the cut-off tomorrow at 10:30 PM.